I am totally committed to the idea of teaching children meaningful connections to literature, math, history, culture, art, music, dance, athletics, and the rest, and knowing that the “fundamentals” will follow from that. I am totally committed to the idea that the future will require independent, emotionally wise, problem solvers. We are taking time away from the arts to teach long division to students with calculators on their phones. We are taking time away from classes teaching physical fitness to teach students cursive who’ll be keyboarding to communicate. 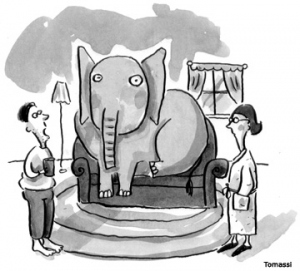 It is the elephant in the room. Art isn’t something we should teach when time permits. It is the core of a progressive, emotionally mature education. It serves the students incredibly well. It would no doubt be of comfort to our children to know that Mozart lived through the American Revolution and saw the beginning of the French Revolution. Beethoven lived and created through both and the global conflagration that was the Napoleonic Wars. This period saw regular devastation and a see-sawing of German fortunes on a scale unknown today. Understanding how life and art coexist and give meaning to lives in turbulent times is something our children need to know.